Since the outsourcing companies provide the best and trained professionals the work done will be of the best quality and it will have all the latest technologies used for the best outcome. 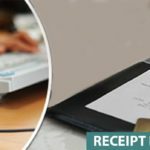 The receipt data entry service providers are always dependable in the case of assurance of the receipts and documents given as the raw materials for the data entry. In the agreement, all such norms are mentioned where both the parties sign the contract by agreeing to obey the terms and conditions. All most every outsourcing companies now-a-days use the most modern technologies for completing the projects assigned to them. Hence, it is easier and the results are accurate than the projects done by manual effort earlier. This also makes the results to be ready within short interval of time. All the enterprise or the business ventures need not have the latest and highly expensive technologies and software. But the outsourcing companies have all such facilities which make them more dependable. Managing receipts can be optimized with the right expertise. They will know the complications and will have enough knowledge and experience to manage the most challenging receipt data in a timely and accessible way. As hiring the experts is not possible due to unavailability and the high expense involved, outsourcing offers a more cost-effective solution to receipt data entry management. In these days of extreme market competition and increasing costs, controlling the cost is the best way to increase the profit margin. Cost control can be done by outsourcing a host of related data management including receipt data extraction service. Businesses can leverage the best of expertise, technology and digital data with the help of good outsourcing partners. Well-managed information can increase the overall efficiency of your organization. With varied information available on click of a few buttons, the management can quickly understand how the business is performing and accordingly take the appropriate actions to augment its efficiency and increase productivity. Since it all starts from data, outsourcing data management to an efficient offshore data extraction services provider will prove to be very effective for the overall improvement of the business.